I absolutely love making Christmas ornaments with my kids! 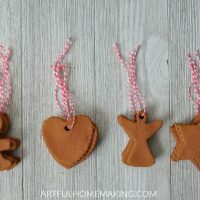 These easy handmade cinnamon ornaments are simple to make and look lovely on the tree or decorating a gift! My mom was the one who introduced cinnamon ornaments to us. Several years ago, my mom came to babysit the kids and brought all the supplies to make cinnamon ornaments. The kids had a blast, and the ornaments lasted for a long time. They even retained their cinnamon smell through the years! Since it had been so long and some of the ornaments had gotten cracked after years of use (and maybe some rough handling! ), I decided it was time to make them again. 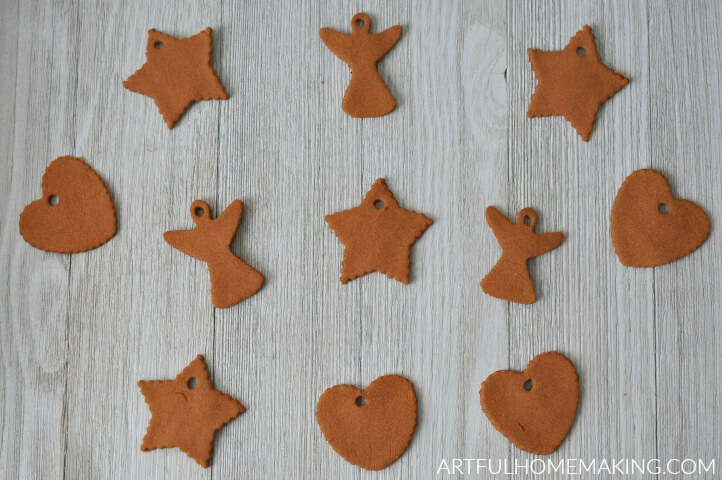 When my mom first told me about these, I felt like it was a little bit wasteful to use a whole cup of cinnamon just for ornaments! Trust me, they’re worth it. Just make sure to get cheap cinnamon at the dollar store or somewhere. This year we just made plain ones, for a more farmhouse country look, but in previous years the kids decorated the dried ornaments with glitter glue, which they thought was very fun. This is another easy recipe your kids will want to help with! Add the applesauce and cinnamon to a mixing bowl, and mix together until you can form it into a ball. Ours was a bit dry and not sticking together well, so we added a bit more applesauce to get it the right consistency. You don’t want it gooey, just add enough applesauce so that it holds together. Divide the dough into thirds. Get out some plastic wrap and put 1/3 of the dough between two pieces of plastic wrap. This is optional, but it’s a lot easier to roll out with the plastic wrap. Otherwise, it tends to stick to the rolling pin. Roll out the dough to about 1/3″ or 1/4″ thick. I wanted smaller ornaments, so we used smaller cookie cutters and made them about 1/4″ thick. The thinner ornaments dry faster, but they are a bit more fragile, so keep that in mind when you’re deciding how thin to roll them out. While still on the plastic wrap, use the drinking straw to make a hole near the top of the ornament. 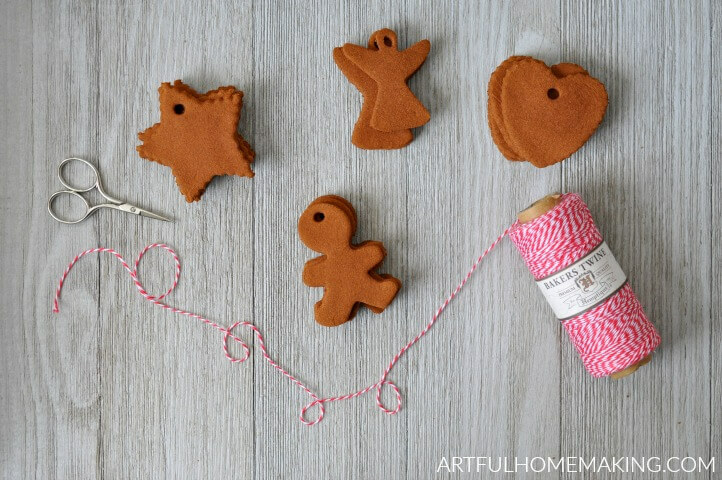 This will allow you to add ribbon or twine for hanging (after they are baked). Transfer cutout shapes to a parchment-lined cookie sheet. Bake at 200° F for 2 to 2 1/2 hours. The amount of time required for them to dry depends on how thick they are. They smell so good when they’re baking! After they’ve thoroughly dried in the oven, add ribbon or twine. Enjoy your handmade cinnamon ornaments! We used these to decorate our small tree in the school room. They look so cute! This easy recipe is fun to make with your kids! Make your own homemade Christmas ornaments! Add the applesauce and cinnamon to a mixing bowl, and mix together until you can form it into a ball. Ours was a bit dry and not sticking together well, so we added a bit more applesauce to get it the right consistency. You don't want it gooey, just add enough applesauce so that it holds together. Divide the dough into thirds. Get out some plastic wrap and put 1/3 of the dough between two pieces of plastic wrap. This is optional, but it's a lot easier to roll out with the plastic wrap. Otherwise, it tends to stick to the rolling pin. Roll out the dough to about 1/3" or 1/4" thick. I wanted smaller ornaments, so we used smaller cookie cutters and made them about 1/4" thick. The thinner ornaments dry faster, but they are a bit more fragile, so keep that in mind when you're deciding how thin to roll them out. Bake at 200° F for 2 to 2 1/2 hours. The amount of time required for them to dry depends on how thick they are. They smell so good when they're baking! After they've thoroughly dried in the oven, add ribbon or twine. 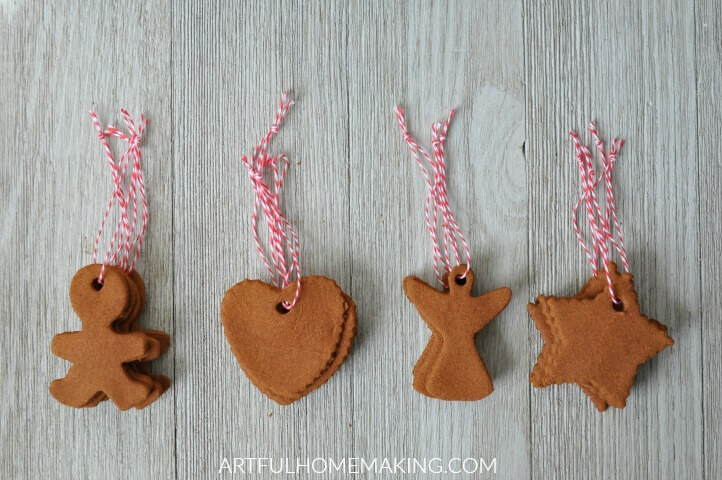 Enjoy your handmade cinnamon ornaments! These look great, thanks for posting on the Homestead Blog Hop! I love this!!! And the house must smell so yummy when you are baking them! Can not wait to give it a try! This is a neat idea. I’ve never seen these ornaments made with the main ingredient been cinnamon. I’ll have to try it. These ornaments are so cute! I can’t believe they’re made from applesauce and cinnamon!! So cool 🙂 Thanks for sharing this at the Friday Favorites linky party. Happy weekend! Thanks, Maisy! They’re so fun to make. Have a great weekend! I love that rustic look, too. Thanks for stopping by, Liz! My family has been making these for years, and I love them! We’ve added little bells to them also. Merry Christmas! 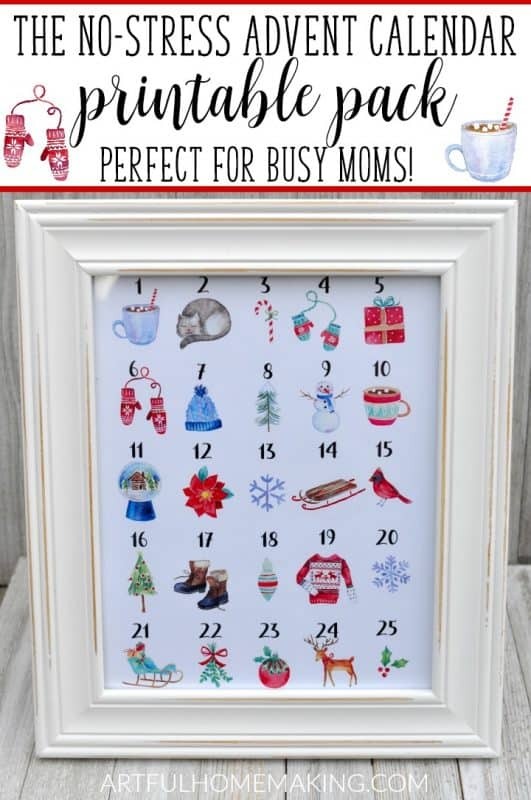 What a great idea to add bells—I bet that looks adorable! Merry Christmas to you, Crystal! What a lovely decorating project! 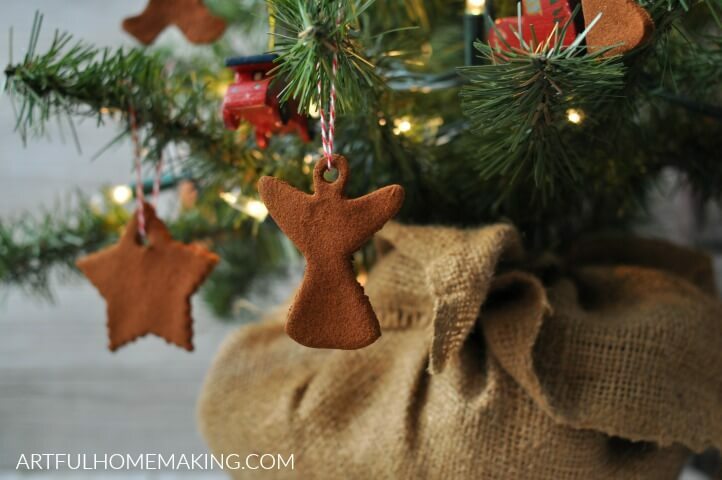 Your cinnamon ornaments are beautiful and what fun project to make with kids! Featuring at this week’s Hearth and Soul Link Party. Thank you so much for sharing! Thank you so much, April! And thank you for the feature! I haven’t done these in years – I love the way they smell! I have to do this again – thanks for the inspiration and for sharing with Party in Your PJs! I haven’t made cinnamon ornaments in forever! Honestly, I’d forgotten about them but reading this made me remember making them as kid. My mom never let us hang them on tree so we ended up hanging them in random little places all throughout the house. Our whole house smelled like cinnamon all December. What a sweet memory, Ashley! Thanks so much for sharing! These are some of the cutest handmade ornaments I’ve seen! I bet they smell terrific too. 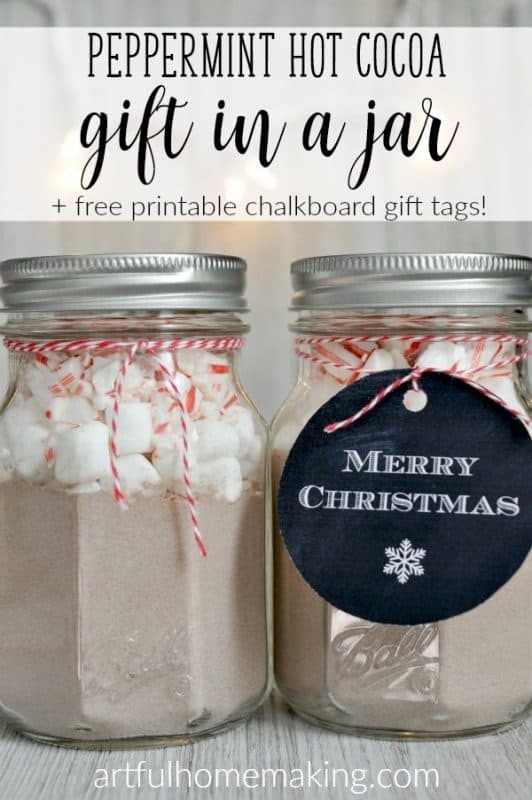 My kids will love to make some of these as gifts for their teachers!! Thank you, Marcelle! These are so fun to make with kids!